Every insurance market in the world has witnessed periods when scrutiny of the financial integrity of application forms has been found wanting. Unlike medical underwriting, financial underwriting is not dependent on sound medical experience and reams of statistics. 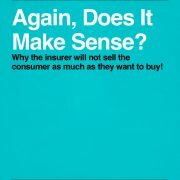 The fact that several companies in South Africa are expressing a concern about financial underwriting when there is increasing pressure to get applications converted to insurance contracts, is just one of the examples of the underwriting cycle for things like insurable interest, over-insurance and anti-selection by dubious consumers. Have there been early deaths that spur one to talk about financial underwriting at this juncture? No, not that we have heard about, but there is a mounting concern, because if one looks outside SA’s borders there is evidence of mortality skewed by early claims, where at death the wisdom of the underwriter’s financial judgement or lack thereof is called into question. Underwriters in SA need to ensure they are seen to be more proactive and in control of change. Poor financial underwriting has had many recurrences in the ultra- competitive North American market. The late 1960’s and early 1970’s saw a few early claims that made underwriters look rather foolish and gullible. Subsequent rounds of papers and articles emerged following poor results with what became known as ‘jumbo cases’ in the mid 1980’s and again in the late 1980’s. When all the rhetoric is stripped away, the basic message to underwriters was ‘make sure the case makes sense’. When I review old claims I see a pattern emerging of underwriting standards being lowered under pressure from producers or zealous marketing departments. Even though the financial justification, insurable interest and/or dubious nature of the business is in question, it is easier to say ‘yes’ and move on, than stick to the premise that the producer has not made it ‘make sense’, so you are going to continue to decline until justified. The pressure then pushes underwriters to turn to those bastions of aggressive risk taking, the reinsurers. The ‘willing reinsurer’ rationale is quite often based on doing a favour to win a friend over and hopefully get some good business. I have seen so many large early claims where only one reinsurer took the case and this is a sad reflection on the professionalism of reinsurers world wide. When insureds die early the insurer takes some solace in the fact the reinsurer took all the mortality risk, and then takes action against its own underwriter for getting it publicity on the front page along the lines of ‘Company X supplies motive for murder through unjustified amount of life insurance.’ If the case is not justified in the eyes of the insurers’ own underwriting experts, why, when one of ‘x’ reinsurers’ underwriters says they will take it on the same evidence (really lack of evidence), does he or she approve issuance? 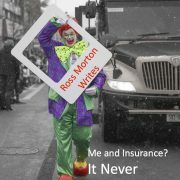 Every company has their rules of underwriting and I am the first to concede they should be challenged when justified. Let us take the magical keyman rule. That rule states that a key person can have five times income and the beneficiary is his or her employer. It was not born of mounds of research nor statistical analysis of the key people’s worth to their company. It was meant as an educated guess as to a multiple to start from. I believe there are some people running operations who are key only to perhaps a multiple of one times remuneration. At other times the multiple need climb as high as twenty times to reflect the very unique key contribution of some talent. Each has to make sense for the circumstances and thus the rule goes by the wayside. Underwriters the world over are so extremely proficient at medical underwriting they are like machines at directing applicants into their risk classification slot. They are aware of the intricacies of the most obscure medical impairment thanks to the teachings of mentors, manuals and group meetings, and are able to assess the most complex details of the applicant’s medical past and present. If a reinsurer takes the case so rightly in need of a rating, they are the first to challenge the sanity of the reinsurer. We have medical underwriting pegged so well it is almost boring. Financial underwriting and the ‘common sense’ approach to the subject preached in the past decades needs to resurface and become part of today’s curriculum. All the medical testing and lab works makes for a great industry. Teaching and mentoring how to ask the simple ‘does it make sense?’ question just seems to lack pizzazz. It sometimes takes, as history all over the underwriting world has shown, a few bad claims of a magnitude to raise the eyebrows of executives, to reinstate the rallying call of prudent financial underwriting once again. management regardless of how well you select risks. 2. Does it all make sense? 3. In partnership insurance who are all the partners and are they all insured equitably? 4. Never, never allow a person to be worth more dead than alive to family or business! 5. Multiples of salaries for keypersons or personal insurance are strictly guides and must reflect in summation the true financial loss in terms of the time value of money. 6. Banks make great beneficiaries but they are not necessarily without bias — they always win with or without the insurance. 7. Are you guaranteed that the in-force to be replaced will indeed be replaced? Do you follow up? Do you have legal remedial solutions? 8. Make use of your own companies accounting and investment experts to see if the finances are right on. 9. Use the Internet as your personal search engine for finding both personal and industry information. 10. You can never reinsure the notoriety from a bad claim. Underwriters as a profession were under fire as they became more and more in the forefront of broker complaints. Brokers were everywhere and their demands were seen as reasonable by marketing types and unreasonable by underwriters and their leaders. I got into a bit of a controversy (not my first time) by suggesting that education and medical knowledge did not represent 100% of what constitutes a great underwriter. Delivering a message and being flexible were attributes most needed to the medically competent. Underwriting has never been an exact science and with pricing becoming less of an exact science (preferred and the guesses surrounding what price for what preferred criteria were growing) as well as the need to comprehend the complete proposed insured and sell a decision was foremost in skill set demands. Steve the editor of MO said put it in writing thee thought s of yours and he would see to it that someone would read it. Response was mixed. The academic underwriter said medical knowledge was still the be all and end all with communication skill an unnecessary asset. The practical well respected guru of risk selection said I was right on and asked if I had a test to determine which underwriter had the moxie to make it to great. Isn’t it strange that now that higher employment in the life insurance business is escaping the stranglehold of actuaries, the banks are hiring big company actuaries to start their life operations? Just as perplexing is the new trend to hire those endowed with banking experience to run life companies. But I will not critically analyze more informed decisions than mine; rather let’s look at hiring the senior home office underwriter – a subject upon which I can speak with more authority. Hiring a home office underwriter may first appear to be a tough task. In my business (no, not the banking business), the delicate egos in the field must be catered to by meek minions in head office. Thus, the astute discharge of the demanding task of hiring a home office underwriter suggests that need for Solomonic Skills. Ask a life broker who to hire and he responds, “The most liberal, of course”. By definition, this is the underwriter who has a strong bias to the word “yes” and needs trifocals. Ask the same questions to the pricing actuary who sets those ungodly low prices for the product and this chameleon of the numbers world screams for the most conservative and restrained of persons. As a means of placating their desire to be part of the recruiting process, I once asked some field types to suggest what they deemed the most cherished qualities of a senior underwriter. This was not an act of condescending chicanery, but rather a sincere attempt to let those who depend on good underwriters have concrete input. They told me. After I overcame the palpitations and nausea, I asked for a list of candidates, this time ones that they had actually encountered over the years that would make solid contributions to building teamwork between field and home office. Their responses didn’t have me exactly bouncing in bliss, but at least the nausea stopped. Unfortunately, it turned out that those on this list shared a universal willingness to deal and they all had demeanors who knew how to treat a god – sorry, I mean a broker. From my own point of view, the two qualities that I would look for in selecting a senior underwriter are expertise in risk evaluation and communication skills. My critics may well challenge me on the first. With the growing use of computers in the underwriting process, why is expertise in risk evaluation still so important? It’s true that the new expert systems now being offered have superb capabilities to transfer data and eliminate the underwriting drudgery of running your finder down a check list. Indeed, jet issue has become computer issue. But, and it’s a big but, here’s where the problems begin for the foreseeable future. Unfortunately, the penmanship of most doctors is o bad that no computer scans can hope to load information directly from an Attending Physician’s Statement. Therefore, a senior underwriter or a medical doctor is required to key in the results of an APS into the computer. At this time, it’s faster for a good senior underwriter to make the decisions than it is to key the information and wait for the computer to provide the answers. So much for competence in risk evaluation. As for communication skills, the reader must surely concede that there are times a question must be asked or a “no” delivered. There actually are recorded cases where the broker impeded and confused the underwriter. I recall a true situation that happened just west of Regina. An application arrived unannounced one day to the desk of an underwriter who had a reputation of being as brazen as any broker. The case was large. The financial history was non-existent. After senior representatives from both camps endangered there well-being by interceding the case reached conclusion. A happy conclusion in fact arrived three months later when the broker educated the underwriter with the tidbit that the applicant was the son of one of the wealthiest men in Alberta and the sole heir to all the money. The broker’s argument was that the underwriter should know all the rich people in Canada (and their heirs) by name. With the demise of some life insurance providers as predicted by the life industry (always first with the news), there should be more than sufficient talent around in the next few years to fill all remaining senior underwriting positions. With further computer automation of the risk selection process, only the exceptional skilled and verbally competent senior underwriter will survive. Hiring a good one will be easy; they’ll be the only kind left. “It sure is a boring summer with nothing exciting happening in our business”, said the old timer who likes to feel the vibes of change. He of course was talking about the sleepy life insurance industry. He also has become so accustomed to rapid and exaggerated change plus unwelcome headlines that he no longer labels the now routine noteworthy. Lets start with the KPMG Ethics Survey 2000 that I have read snippets of but since I am too frugal with my time I have not read every word. For those interested in the survey it is available at www.kpmg.ca .It is full of all the great statistics of how ethics are not being nurtured and few companies give this a priority. My first reaction was to resurrect the “semper ubi, sub ubi” article from MO’s archives. Then I said to myself that that windmill has already been challenged. On questioning a friend of mine who is close to the MBA circuit and continuing education for executives I learn that ethics courses are in such great demand people are being turned away. I thought the ethics of an organization were instilled in new employees by the old guard and the leader. Has this become so specialized that it is now outsourced? If one (the proverbial employee of nondescript features) has not learnt enviable ethics before entering the workforce can one ever learn? If one has not learnt ethical values from one’s first leaders can one ever learn? If the actions and verbal utterances of one’s current leader are not reflective and definitive of true ethical behavior can one ever learn? Can a daylong course on ethics and a certificate hung on the wall equate to an insurers integrity being of high ethical standards? Something like two thirds of companies said they are implementing practices but there is some concern for the amount of time to fulfill those practices. Of the responding companies some 42% have a senior level manager that has the ethics conundrum under their list of to do’s. Training in ethics is provided by about 39% of the companies in KPMG’s survey. I am sure no company is spending more time than the Royal Bank conglomerate who just had the bad fortune of being at the very public end of intense scrutiny over in my opinion ethical behavior! Just imagine what has not been uncovered in our financial services industry. I take heart in the KPMG survey that included about 1.5% life insurers and I will imagine they are all on the higher ground. Before the ink had dried on the above paragraphs I am stunned by the news my industry has taken a body blow to the kidneys with the Transamerica immediate and complete disclosure of their problems with a few staff. Could anything have been done in the midst of the burdensome acquisition of one company by another that would have at all costs maintained the sanctity of Transamerica’s reputation? Possibly not. The compliment goes to the leadership who immediately went public, took remedial action, avoided the pitfalls of mendacity and limited damage as best they could in the circumstances. Dull summer? Not a chance. Our financial services industry has had a wake up call and the onus is on all participants to elevate ethical behavior to a priority. Training courses may keep the issue alive and actually instill the no nonsense importance of ethical conduct but if you have in your midst someone(s) whose ethical instructions in early life training leave a lot to be desired “you gotta problem mista”. Finding the rotten apple in a barrel of red Delicious only happens when you hand wash each apple. In sharp contradictory contrast to the ethics survey is the Queen’s University School of Business survey of participating CEOs in Ontario. Of the top 12 challenges facing CEOs on the Queen’s list the only one that can be stretched to include ethics is the challenge of finding staff that possess the right personal qualities in addition to their technical skill. This study would have warranted days if not weeks of public and private scrutiny had it been in the “old days”. Today it is just another study of our accepted practices that lean heavily on performance judged by numbers here and now, versus long-term implications of ethical versus unethical behavior. This should not be taken as ho hum! Rudimentary ethics emerges like zymurgy. Over decades and even centuries our “norm” has been forged like the fermentation of wine. Is being forthright always the same as never telling a lie? Is exaggeration in the same leak as abuse of information? Is a conflict of interest always a conflict of interest or does it depend on the consequences? I remain a student of the ethics debacle and hope that in time any doubt about the definition ebbs, which would mean I have found the holy grail (or at least someone let me glance it while there was still time). With age and an ever increasing scope of acquaintances I learn that the definition is now more elusive than ever since there remains no one definition of business ethical behavior. If there were would there be any employees in the tobacco business? The prize awaits the person who can guarantee a test to weed out the ethical behavior that is not in compliance with the leaders which one hopes is in harmony with the Board and its traditions. The problem is whose ethical behavior is the model since it is on may occasions so subjective. We certainly do not want to leave it to the press to decide. Next we have the more mundane within the insurance vill. The merger first here in our Canadian community of CU and NU (sort a sounds like canoe), which then transformed into parents saying sell the whole thing. Add to that the potential but soon stop of the sale of C.N.A. life operations globally, ING continuing to acquire NA companies especially Aetna’s financial services side and you have lots of excitement. Talk heats up that Canada and Clarica will be devoured by the likes of any number of large European mega companies in less than 30 months. Banks can come into the US life market. Royal Bank buys into the US life industry. Underwriters are being given signing bonuses of considerable sums plus salaries that finally distinguish them from senior clerks. Pricing actuaries who can make a product price plummet and a reinsurer pay dearly for the privilege of acquiring the risk are in demand that exceeds the demand for a Stanley Cup team in Toronto. Reinsurers are happy that so much risk is being transferred to them since it is their specialty. News has come out that some of the insurance Web site sites are still not making money. Enormous losses abound but optimism runs rampant. The expectations are that everybody will be enthusiastically searching out sites to buy life insurance. The summer is full of growing e-commerce optimism for the public consumption but finally from under the terrible income statements comes the first glimmer of concern that life insurance is sold not bought. A small string of words in The Poisonwood Bible on page 309 sort of sums up our life industry as we head towards the end of summer. In fact not even I could have written and been edited into such a distinctive combination of words. We certainly have become numb to change and so blasé that even the pundits are bored. Guess we need to make some greater bad happen.